I'm partial to plants that stay somewhat small. I'm also partial to lots of color. My front landscape is a sea of reddish-pink, purples, & yellows. If a plant's main feature is that it stays green, it's not in my landscape. The Razzle Dazzle series of crape myrtle is perfect for me. Not only does it stay fairly small at 3' to 5' tall and wide, it has a lot of color. In the spring, the leaves appear first as a reddish color, mature to green & finally turns back to a deep burgundy in fall. The flowers bloom just as I'm getting bored with the green and contrast very nicely. Even after the leaves drop, it is still pretty because the branches have a nice red color instead of muddy brown. And yes, I know you could spell "Crape" as "Crepe". I've seen it both ways and I decided to stay consistant by just going with "Crape", so don't give me any "Crap". Description This is a compact mounding shrub - typicially called a dwarf. It has showy summer flowers, leaves that turns deep orange to red in fall, and a bark that looks nice after the leaves drop for the winter. Manicuring or Pruning Dead head spent flowers to encourage new blooms; prune away "wild" branches, but allow the shrub to take on a natural shape. Prune in late winter/early spring. Fertilization Fertilize in the spring when new growth appears. A general purpose fertilizer is all that is necessary. Growth Cycle New growth will appear mid-spring. Flowers show up mid summer and will bloom thru fall. Go to the nursery & buy a new one? Maintenance Level Fairly low, especially once established. Faithful dead heading throughout the summer, minimal pruning in late winter & once a year fertilizing in spring will keep your shrub beautiful. This blog is just getting started. 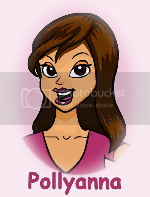 I tell stories too, visit www.lifemakesmelaugh.blogspot.com for my less technical, funny side. I like this blog too! Hey, I just picked up a crepe myrtle that I plan to encourage into a tree shape. I've seen it done with fantastic results. In general, deer do not like crape myrtle. There are no guarantees, especially if there is nothing else more appealing. 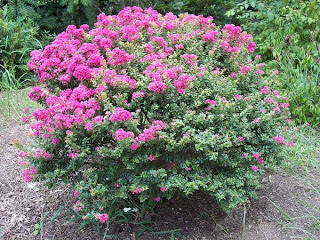 I live in Pennsylvania and purchased two razzle dazzle crape myrtle shrubs last year. They were lovely when I bought them and loaded with flowers. This was their first Spring and although they appear to be very healthy, I do not have any blooms on either shrub. Any suggestions as to what I should do. Thanks. I just love it when I am looking up a plant and I find a blogger who has profiled it. Thanks for the info. I have three of these and like them all.